Surinder Singh, a resident of Pathankot said to be a police informer on the basis of whose tip-off the cops had raided Father Anthony Madassery’s residence, had left home a week ago to “join a police inquiry” at Phillaur. He has not been seen since then, his family has said. Gurnam Singh further said that Surinder worked for a private company at Pathankot which also deals in insurance. “I went to Khanna on April 12 and met the said DSP to inquire about my son, but the DSP said he was not aware about him and also asked me not to involve him in all this as my son has committed a crime,” he added. On Sunday, a police team from Jalandhar had come to his house to speak to him. Vijay Kumar, husband of the village sarpanch, said that the village was shocked by the incident as no one could imagine Surinder being involved in such a crime. Surinder is the only son of his parents. He is a Class XII pass, married with a three-year-old daughter. Station House Officer of Pathankot Sadar police station, Inspector Jasbir Singh, said Surinder did not have a criminal record. 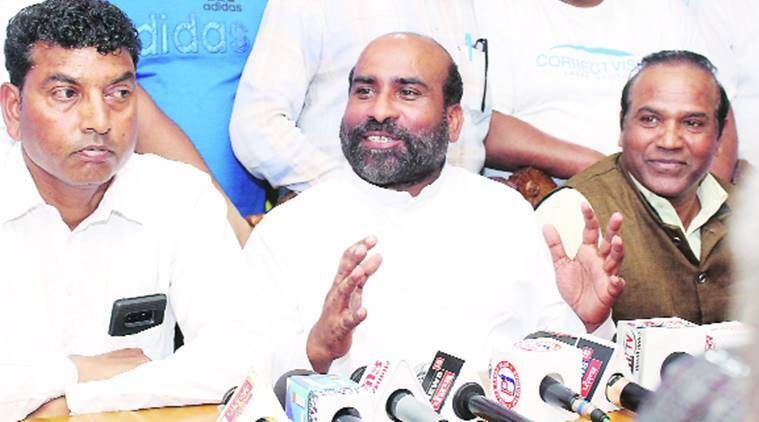 During the press conference he addressed on March 31, Father Anthony had said that when the police team, in plain clothes, arrived at his residence, Rs 9.66 crore was lying on the first floor where he was sitting. He had said that two officials from the South Indian Bank were counting money in another. The South Indian Bank, too, had issued a statement that their staff had counted “over Rs 6 crore when two-three policemen came to the first floor and took away money forcibly without making any inventory”. The Khanna police had claimed that it had handed over the entire recovered cash to the I-T department and Enforcement Directorate officials. Father Anthony had later submitted documents for book sales worth Rs 31 crore, which his firm had collected in the month of March by selling books to 49 schools. The Jalandhar Diocese had come out in Father Anthony’s support. The man, who has rented out his house to the priest, too had questioned the police theory and accused them of ruining his reputation.